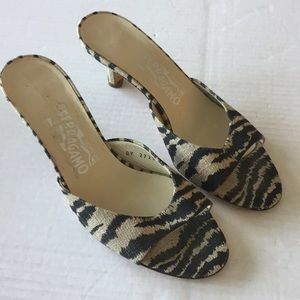 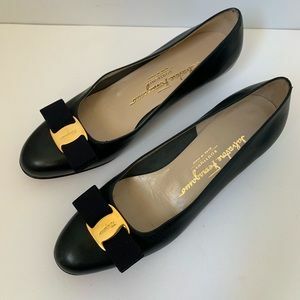 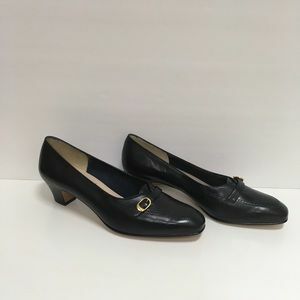 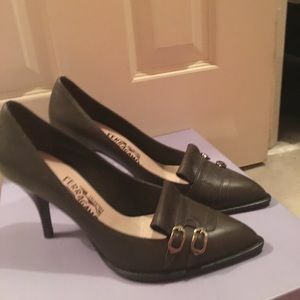 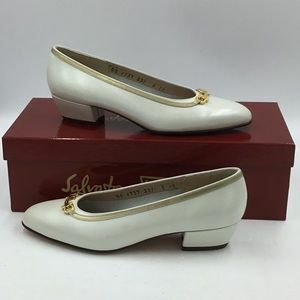 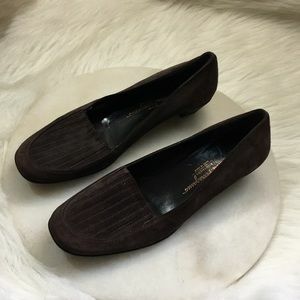 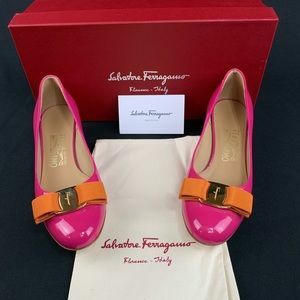 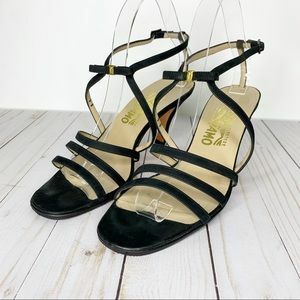 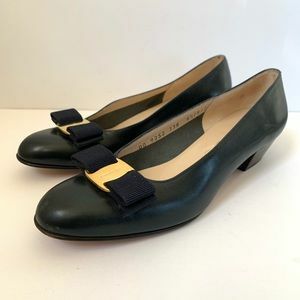 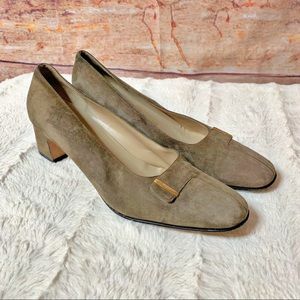 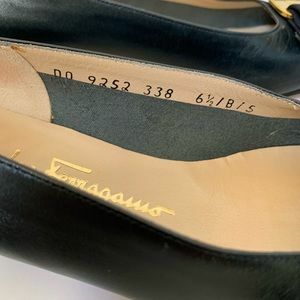 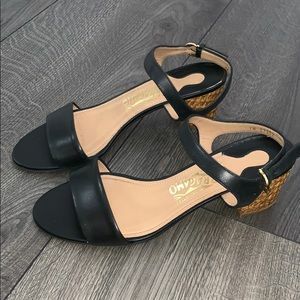 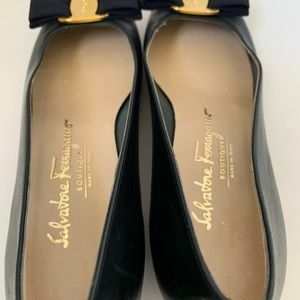 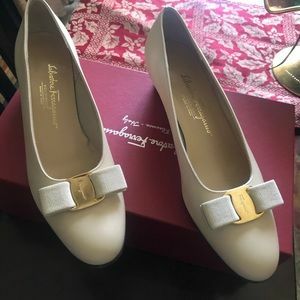 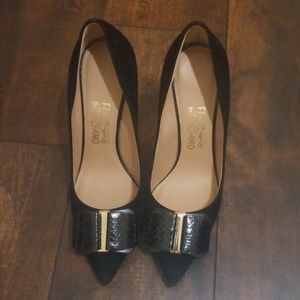 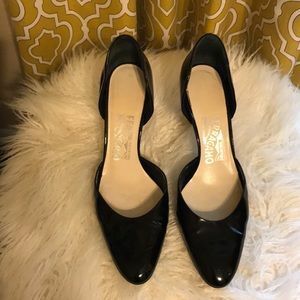 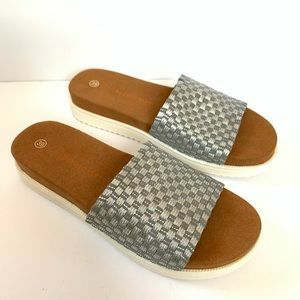 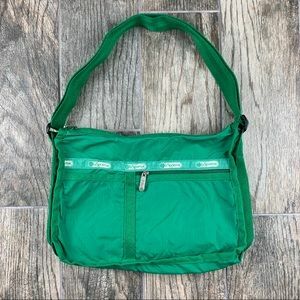 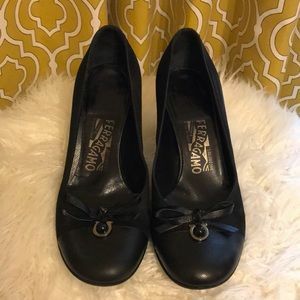 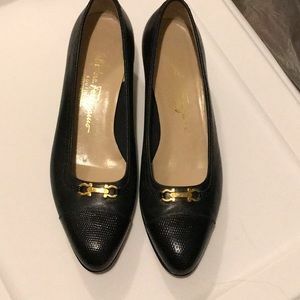 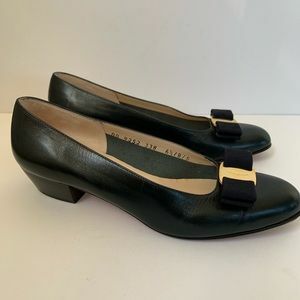 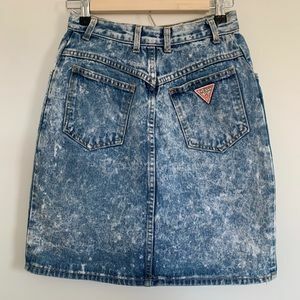 Salvatore Ferragamo | Vara Size 6.5B. 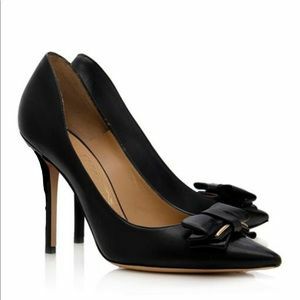 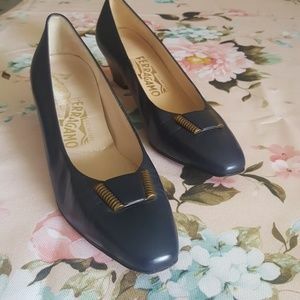 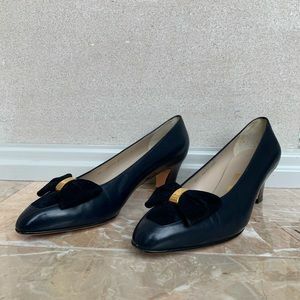 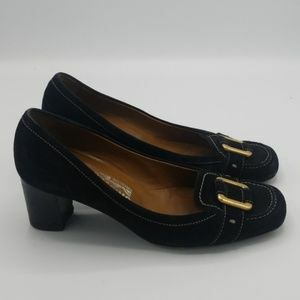 Classic navy blue leather heel. 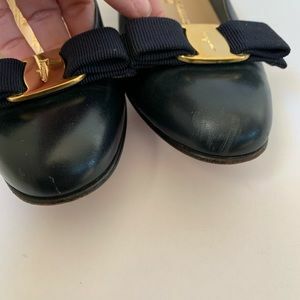 Ribbon bow with gold emblem. 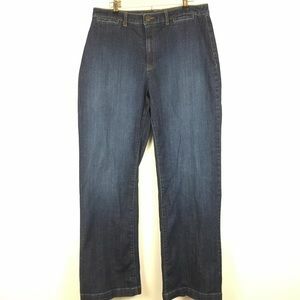 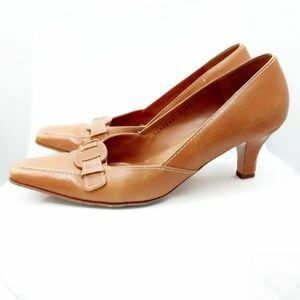 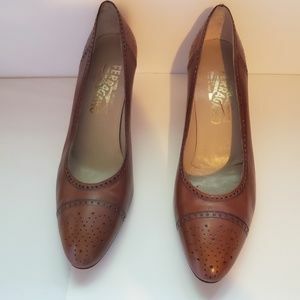 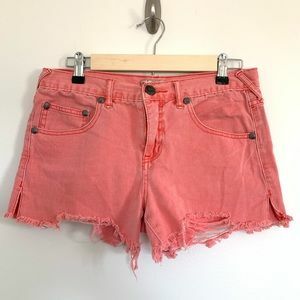 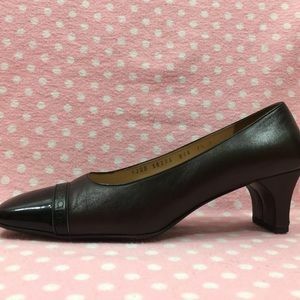 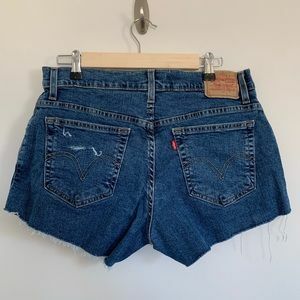 Low heel, approximately 1.5”. 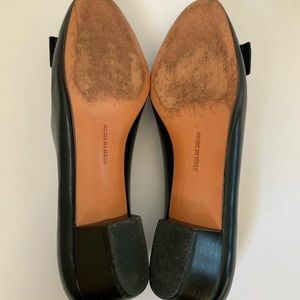 A few scuffs in the toe area which I have treated with leather shoe conditioner. 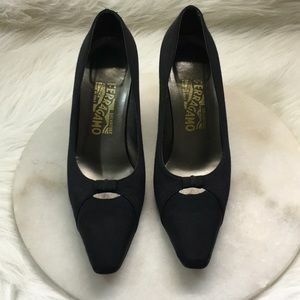 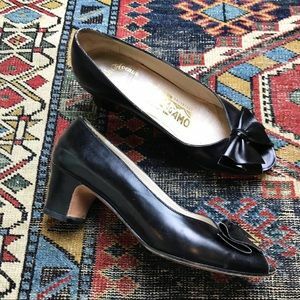 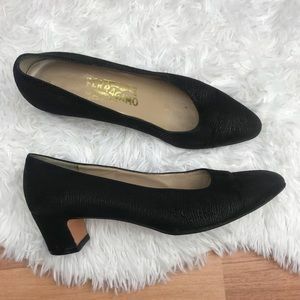 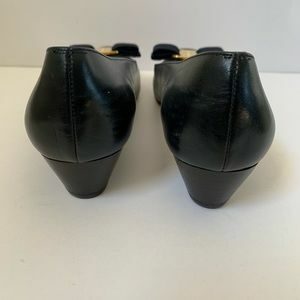 Vintage Salvatore Ferragamo Black Suede Heels 8!